Unfortunately, in real life, when Mayor Kirk Caldwell has his own pet project, the opportunities for citizen participation are met with disinformation, retaliation, and abuse of city powers/resources. The circle-the-wagon mentality kicks into gear from the top on down. Similar ill-thought justifications are parroted from top on down. Process reports and Budget Forms are filled with fabricated information. Lies are perpetuated top on down. An example of this dark side at City Hall would be Hauula Fire Station Relocation project. Despite robust protests and over 1,200 signatures against this extravagant relocation, the city stuck to its nefarious PR tactic to distract from the city’s gross malfeasance in this process. 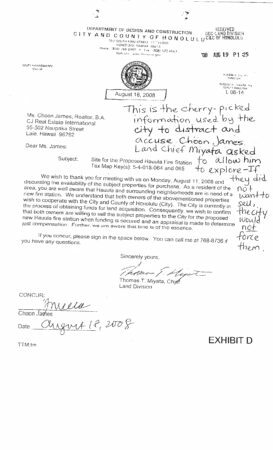 The below August 18, 2008 letter is the “sale contract” that the city and clan freely disperse to the public to distract from its failures to provide due process to the most affected citizens in Hauula. The fact is, even if the owner DONATED the land to the city for the project, the city still has to provide due process to the people living next to this despised project. 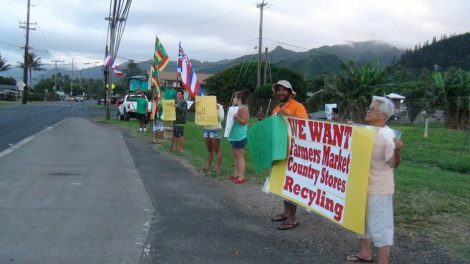 The city miserably failed its environmental review process to the people of Hauula. August 18, 2008. This is the CHERRY-PICKED letter used by the city and clan to hoodwink the city council and the public. This letter does not even meet the basic rudimentary of a basic sale contract, if there was one. 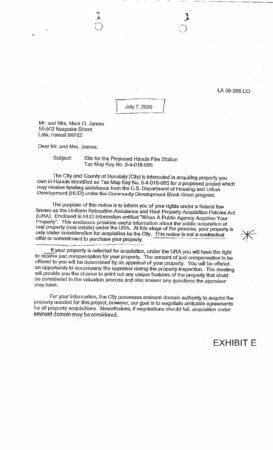 July 2009 – This subsequent city notice is never provided to the public by the city – “This Notice is not a contractual offer or commitment to purchase your property”. 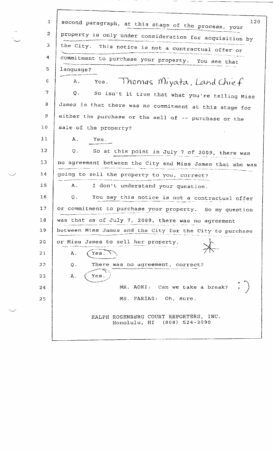 December 13, 2013 Deposition was taken under oath from Land Chief Thomas Miyata where he finally had to stop his lies about an agreement to sell and confess that “ there was no agreement between Miss James and the City for the City to purchase or Miss James to sell her property.” Page 120. 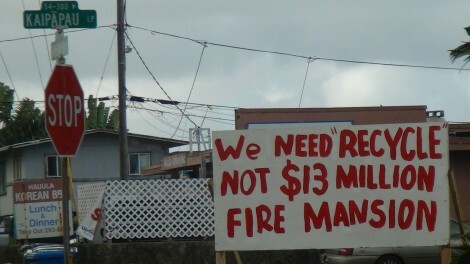 Additionally, when Hauula residents protested with signs against the extravagant relocation of the $13 Million Hauula Fire Station Relocation, Mayor Kirk Caldwell dispatched the Department of Maintenance & Facilities from Halawa (under the supervision of William D. Balfour, Jr.) to seize the free speech signs. The federal judge had since ordered the City and County of Honolulu to pay the legal fees of the Plaintiff. 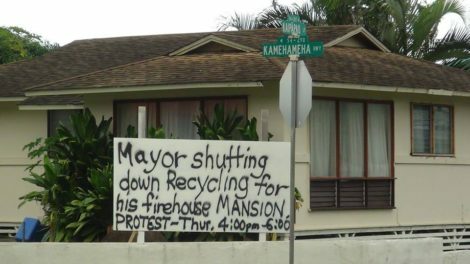 Mayor Kirk Caldwell further engaged the City Corporation Counsel to bully the residents by erecting threatening signs to forcefully close down the recycling center that many depended on. The irony is the Mayor has already stolen $4.6 Million of federal HUD Community Development Block Grants ( CDBG) for this pork project. CDBG funds are meant to improve the quality of lives and economic opportunities in low-income communities. Recycling is a critical cottage industry where even the homeless recycle daily to buy themselves a hot meal! The people are asking for “bread’ but this Mayor is forcing “cake” on them. When residents further protested with new signs below, the Mayor dispatched city county inspectors to threaten private property owners with a daily $50 fine if they did not remove the signs! Additionally, in April 2017, Mayor Kirk Caldwell opened this controversial project up for bids ( for $7M) when the funds have been deleted by the city council! Residents are thinking that Mayor Kirk Caldwell is employing the same tactics – SUNKEN COST FALLACY – as he does for the Honolulu Rail. He’s hoping to encumber as much costs as he can, hoping the judge will not take a bold action against his malfeasance. A citizen should not be surprised at these capricious and nefarious tactics. Whether it’s a huge project like the Honolulu Rail or this relocation project, the same modus operandi – lies, distractions and retaliations – is implemented. Are Mayor Caldwell’s PR Peeps Playing Disinformation Games With the Public? 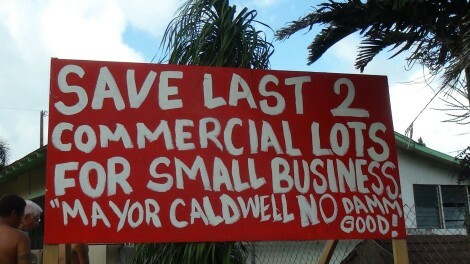 Are Mayor Caldwell’s PR Peeps Playing Games With the Public? 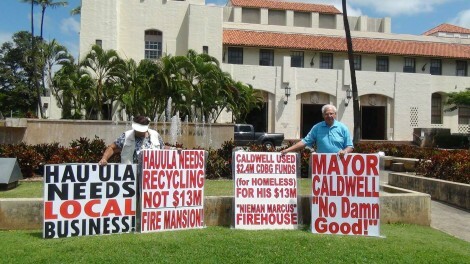 I was specifically asking why Mayor Caldwell was again – this year – stealing an additional $1Million from the Federal HUD CDBG funds for the controversial Hauula Fire Station Relocation Project #2000068. An average fire station costs about $5 Million to build. In rural Hauula, the Mayor wants DOUBLE the lot size and TRIPLE the costs at an estimated $13 Million! “Steal” was a strong word but I was quoting City Council Budget Chair Ann Kobayashi’s words to Director of Department of Budget and Fiscal Services, Nelson H. Koyanagi, Jr. and Director Gary T. Kurokawa, Deputy Director at the March 2016 Budget Committee Hearing at Honolulu Hale. Kobayashi also asked them if they were “proud of what they were doing.” Budget Chair Kobayashi explained that the city usually financed its city projects through bonds and so forth. The non-profits that serviced programs like Homeless, Domestic Violence, Drug Rehabilitation or Women/Infant did not have such financing options. Adam LaFebvre’s response to my CDBG funding question was it had been asked before but he would be happy to discuss this question further with us AFTER the meeting. In other words, he did not want to address the Mayor’s CDBG funds takings. The FEDERAL HUD Community Development Block Grants (CBDG) funds’ Objectives are clear: “Projects that are funded in the CDBG program must address the CDBG program’s primary objective, which is the “. . . development of viable urban communities, by providing decent housing and suitable living environments and expanding economic opportunities principally for persons of low- and moderate-income. The CDBG question was certainly not old or repetitive. We wanted an explanation to this Mayor’s rationale. Mr. Adam Lefebvre’s response is disingenuous. The Honolulu City Council is now vetting the 2016-2017 Budget for the Executive and Legislative Branches. Mayor Kirk Caldwell, again for this budget year, is stealing from the non-profit organizations. 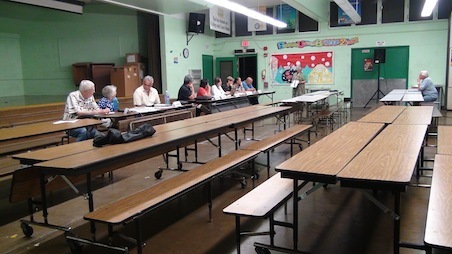 The February 11, 2016 Ko’olauloa Neighborhood Board Meeting was obviously too early to ask about CDBG funds. The Mayor had not submitted his Budget to the Honolulu City Council. The public did not know the Mayor was again going to steal another $1Million from the CDBG funds for his extravagant pet project. For the record, Mayor Caldwell is asking for another $1 Million of CDBG funds for this budget year 2016-2017. In addition, he’s also asking for $6.7M for Hauula Fire Station Relocation this year, at the expense of other more compelling social services and needs. $250,000 to explore alternative sites for this fire station. We don’t know how this amount was expended in 2011. How much more will be requested for cost-overrun? Mayor Queen Antoinette Caldwell is forcing the people to eat cake when they are asking for bread. Have you seen this PR stonewall tactic used at other Neighborhood Board meetings? 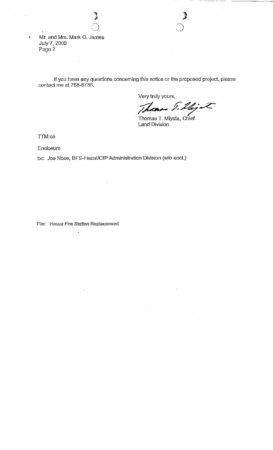 Mayor Caldwell’s Representative ended up not having to explain or provide a good answer to the public on April 14, 2016 Neighborhood Board Meeting. The theme, “The Responsible City”, was chosen by the City Charter Commission when it presented the revised City Charter to the voters in 1972. A major component of this concept is full citizen participation in government so that the powers of the City shall properly serve and advance the aspirations of its citizens. However, the initiative for action must come from the people themselves. While neighborhoods and neighborhood boards were established under the Charter as a means to increase and assure effective citizens participation, their creation and implementation are optional. The Neighborhood Plan, which designates boundaries and provides for neighborhood formation, leaves many decisions open to the community so that an individually designed approach, suited to each neighborhood can be implemented. The Ko’olauloa Neighborhood Board #28 was one of the first to be formed in the 1970s under the leadership of Honolulu Mayor Frank Fasi. In 2013, the members of the Koolauloa Board #28 were voted into office with a overall vote of 8.61% in the last election. Unfortunately, Ko’olauloa Neighborhood Board #28 has recently been plagued with citizens’ complaints of violations due to lack of transparency and conflicts of interest. ” . 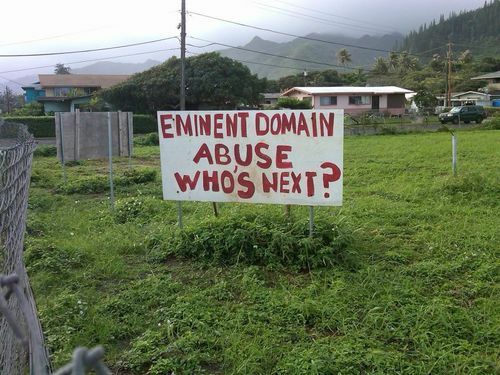 . . the commission ruled that the Koolau Loa Neighborhood Board, on the day it voted to support Envision Laie, unintentionally violated Hawaii Sushine Laws by not allowing everyone the chance to testify at the special meeting. Junior Primacio and Richard Fale were the board chairs in charge that day in 2009. Other infractions, which the commission labeled as “serious and deleterious to the neighborhood board system,” included the use of sign-up sheets that were removed either before or during the meeting and the non-consideration of written testimony before the board took its 7-to-4 in favor vote. 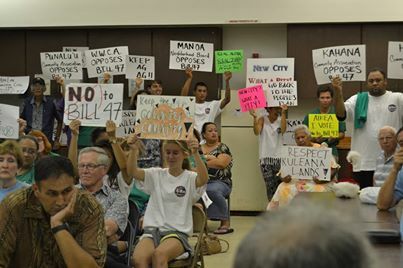 The LCA presentation continued on to December 9, 2013 whereby the Ko’olauloa Neighborhood Board #28 took a vote to support the above agenda. The outcome was predicted as reported. Subsequently, three complaints against the Ko’olauloa Neighborhood Board #28 were filed at the Honolulu Neighborhood Commission. 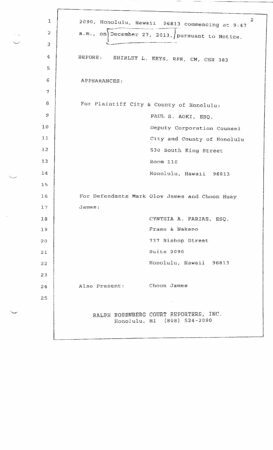 Hearings for Marvin Iseke, Andrea Nixt and Lea Minton vs the Ko’olauloa Neighborhood Board #28 were set for May 28, 2014 at the Honolulu Hale Committee Room at 6:00 pm. NB #28 Chair Verla Moore in blue with 80-year-old Hauula kupuna Marvin Iseke in striped shirt. 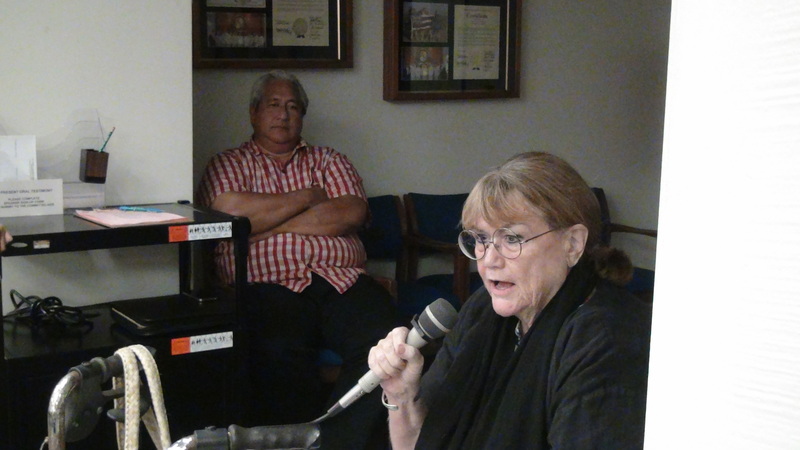 Residents also allege that current Chair Verla Moore, also a member of the Laie Community Association Board, plays favoritism as to who can have a presentation at board meetings. Residents contend that generally no prior efforts were expended to evaluate these matters in a careful and non-discriminating way. No information gathering or research was expended. They perceive an entrenched bloc vote that ignores all the other communities in Ko’olauloa. §2-13-104 Standards of conduct. (a) Board members, in the performance of their duties, shall demonstrate by their example the highest standards of ethical conduct, to the end that the public may justifiably have trust and confidence in the integrity of the neighborhood board system. Board members shall hold their offices or positions for the benefit of the public, shall recognize that the public’s interest is their primary concern, and shall faithfully discharge the duties of their offices regardless of personal considerations. (b) Board members shall not use their positions to secure or grant special consideration, treatment, advantage, privilege, or exemption to themselves or any person beyond that which is available to every other person. §2-13-107 Representative capacity of board members. (a) Each member of a board shall represent the entire district and act responsibly to fulfill the board’s democratic and advisory duty. Yet, on December 9, 2013 Verla Moore KNB #28 Chair and her bloc adopted a Resolution to support her own Laie Association’s request to support Envision Laie and the Ko’olauloa Sustainable Communities Plan against all opposition in the region. The Neighborhood Board members who voted to support the Laie Community Association’s request had not read the Environmental Studies as well as the voluminous facts and circumstances surround this controversial issue. You can see this on the video tape. They just accepted Pane Meatoga’s words as facts. Residents are given very limited opportunities to talk and not allowed to ask questions. Complainant Andrea Nixt from Ka’a’awa with Laie Community President Pane Meatoga in the background. 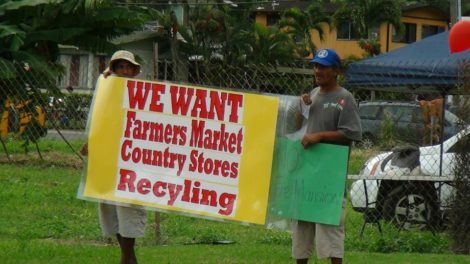 The conflict played out again Wednesday evening when Andrea Anixt from Kaaawa, Lea Minton from Punaluu and Marvin Iseki from Hauula contested the board’s December endorsement of the latest version of the Koolau Loa Sustainable Communities Plan in a four-hour-long hearing before the Neighborhood Commission at Honolulu Hale. 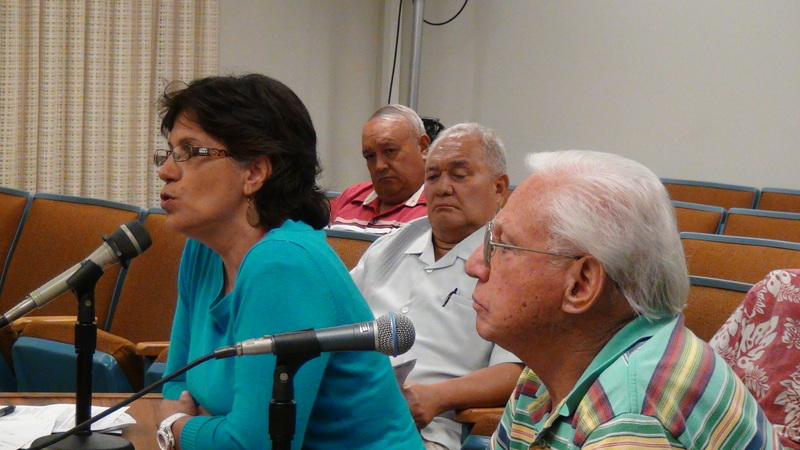 Anixt, Minton and Iseke said the board members who voted for the project failed to represent the interests of the Koolau Loa community as a whole. They also said several members had conflicts of interests because they or their family members are employed by BYU-Hawaii and HRI. The board’s chairwoman, Verla Moore, vehemently denied the allegations, saying that the board painstakingly ensured that all the rules were followed. She emphasized that the homes would be for the “poor and unknown,” instead of for rich people like GoPro CEO Nicholas Woodman, who made headlines that day for purchasing a $9.2 million property on the North Shore. 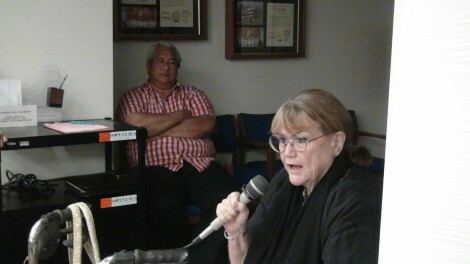 She suggested that the three residents who criticized the board appeared to be haole while many on the board were Native Hawaiian or Pacific Islander. “We let you in, let us guys stay,” she added. Minton, who testified next on behalf of the Defend Oahu Coalition, said she was born and raised in Hawaii and went to Kahuku High School. 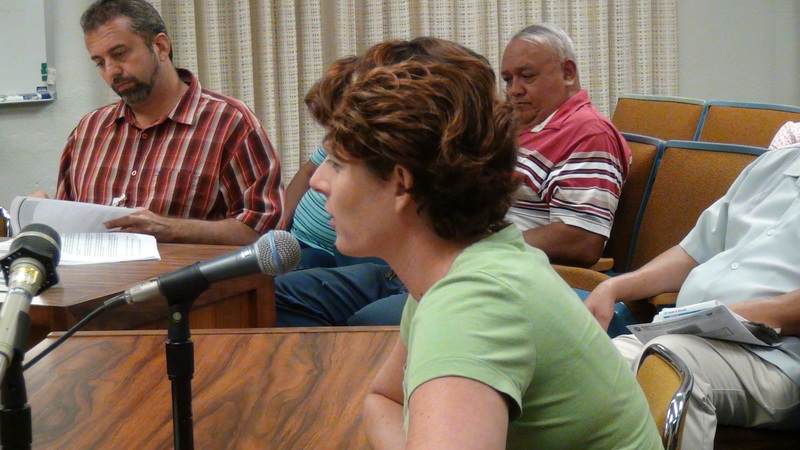 Lea Minton disclosed that she received threatening phone calls, including to her employer to fire her for testifying at the October 8, 2013 City Council hearing at Kahuku High School. She also received a death threat. Unfortunately, Minton further pointed out being harassed by a member of the Ko’olauloa Neighborhood Board #28 on the way to the Hearing that night . That particular board member apologized later at the hearing, explaining he had had a hard day. The Neighborhood Board Commission is slated to render their decision within 45 days. If Mayor Frank Fasi were alive today, he would probably continue to be proud of his accomplishment in providing a public forum for the grassroots. Fasi would understand that democracy could get messy but he would probably have a few choice words about uncalled-for bullying behavior. All in all, he would be happy to see citizens participate and pursue clarifications and redress when and where needed. 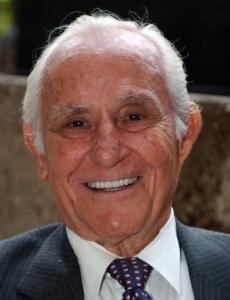 Mayor Frank Fasi established one of the nation’s largest elected neighborhood board systems for Honolulu in the 1970s. Its purpose was to encourage civic participation. The Neighborhood Board is full citizen participation in government so that the powers of the City can properly serve and advance the aspirations of its citizens. Through the Neighborhood Board system, every resident has the opportunity to participate in government decision making which affects his or her community. The system applies the concept of participatory democracy, involving communities in the decisions affecting them. It establishes an island wide network of elected neighborhood boards as communication channels, expanding and facilitating opportunities for community and government interaction. 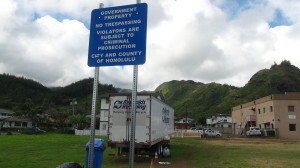 In 1984, Oahu’s voters approved a City Charter a City Charter amendment expanding the role of the neighborhood boards to include all levels of government. Every resident has the opportunity to participate in government decision making which affects his or her community. You can play a significant part in making government more responsive to community needs. The decision is up to you. Because I live in the Ko’olauloa area, I’ll conveniently focus on the Ko’olauloa Neighborhood Board #28. The members of the Koolauloa Board #28 was voted into office with a overall vote of 8.61% in the last election. This lack of participation is unequivocally an issue that needs discussion. 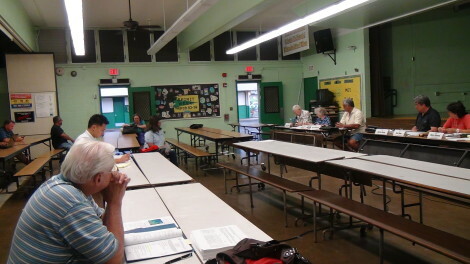 The most recent Ko’olauloa Neighborhood Board meeting was sparsely attended. The above Laie board member had missed three meetings during the year and his absence that night was an additional absence. 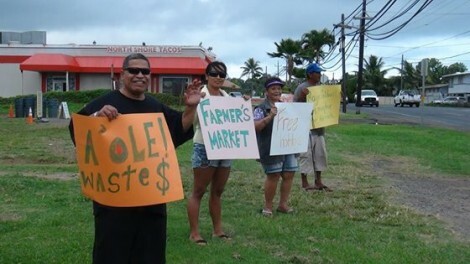 Laie representatives Kela Miller and Gaylene Nikora Lolofie defended Ta’ala with the premise that Ta’ala was not present to explain the reasons for his absences and to allow Ta’ala the opportunity to explain at the following meeting before any action is taken. The Bus Stop Volunteer Program had a bureaucrat encouraging constituents to assist in building and bus-stops maintenance for free labor. Other issues like the controversial Honolulu City Council Bill 47 that amends the 1999 Ko’olauloa Sustainable Communities Plan to include the proposed new subdivision ” Enviision Laie” at Gunstock, located at Maleakahana, Kahuku and the expansion of the Turtle Bay Resort certainly garnered attention. The Ko’olauloa Neighborhood Board #28 meetings are aired on`Olelo Broadcasting Television – the 4th Friday at 9:00 p.m. on Channel 49, and on the 2nd and 4th Sunday at 12:00 noon on Channel 54. Citizens can watch these board meetings any time on http://www.Olelo.org and click “On Demand”. 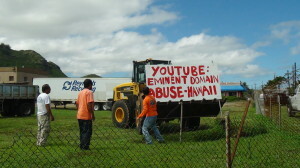 (De)Occupy Honolulu isn’t the only one suing the City and County of Honolulu over infringement of free speech rights. On Tuesday, North Shore resident Choon James filed a lawsuit against the city for tearing down signs she had put up on her property to protest a municipal eminent domain case she’s involved in. What’s interesting is that both James and (de)Occupy’s complaints involve the same law — the city’s stored property ordinance. This controversial law allows city officials to seize personal belongings from public property after providing 24 hour notice. For (de)Occupy this meant city officials clearing tents from the sidewalks along Thomas Square in downtown Honolulu. Meanwhile, she claims other nearby signs, including those using political speech, remain. James is being represented by Richard Holcomb, the same attorney who represents (de)Occupy Honolulu. 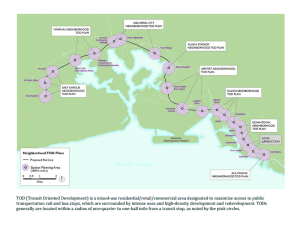 Choon James: Honolulu Transit Oriented Development (TOD) an Assault on Private Property Rights. By Choon James 11/03/2012 Published in Civil Beat. How would you react if a stranger enters your home; goes into your bedroom and sleeps in your bed — without your permission? The natural reaction would be one of disbelief and outright objection, right? We would consider this intrusion an invasion of our privacy and space. We would dial 911 to get the intruder off our property. Yet, we see no similar reactions towards the Honolulu city’s proposed Transit-oriented developments (TOD); we detect no deference to or respect for private property rights. The city’s planners and facilitators have successfully drowned this constitutional right in their public presentations. We live in a Democracy; we are not China or Russia. At each of the proposed 21 rail stations, the city wants TODs “within half a mile radius” vicinity. The proposed rail stations are located at every mile; this means the whole land area along the entire 21-mile rail corridor is up for grabs. “Half a mile radius” sounds so harmless! To covet and seize an additional 20 square miles area along this rail corridor on our small island pose a huge economical, social and cultural impact! Have we forgotten about Kelo vs. New London, the most despised eminent domain case in recent history http://en.wikipedia.org/wiki/Kelo_v._City_of_New_London The Fort Trumbull community had 117 private properties. The City of New London supposedly had carefully crafted a revitalization plan to spur new jobs and increase tax revenue. As it turned out, the city’s private partner – Pfizer corporation – failed to deliver needed funds and abandoned the much-heralded project. The Pfizer corporation also left town. The city and state spent $78 Million for the acquisition and bulldozing the Fort Trumbull neighborhood. The promised 3,169 new jobs and $1.2 million a year in tax revenues evaporated. The municipal experts’ Revitalization Plan, the basis for the ill Supreme Court’s June 23, 2005 decision in deference to legislators, proved to be an elusive concept and not reality. In early 2012, its newly-elected Mayor of New London extended an apology to the Fort Trumbull victims . . . what good did that do? The city wants to “take advantage of rail to its optimal level” and to “concentrate population” along this rail corridor. No Oahu residents should sit idly by and condone such autocratic land-use plans for our island home. It is wrong. It’s dangerous. It’s unAmerican. It goes against the core tenets of our free society. City planning and developments must conform within the constitutional parameters of private property rights. This should have been a big part of the public deliberations. Any “exemption” laws to skirt this right must be rejected. Too many big decisions have been manipulated and controlled by raw crony capitalism and special interests. Private property owners continue to trampled on and pushed aside by the big boys. We must take our government back. Laie Point Cliff Collapse – Erosion or Shoreline Set Back Violations?